You are welcome to Nógrád, the Land of “Palóc” as named after Kálmán Mikszáth the great author native to this land. Living tradition, folk-culture and scenery is of this Palócland are of unpaired richness and beauty, attracting many to this land our typically Palóc values, are inseparably representative carriers of the whole of the traditional Hungarian culture. Recent ethnographic research brought to light a lot of knowledge on origin, ethnography and in general the roots of the Palócs. This revived interest has benevolent influence on both daily routine life and festal occasions, alike. Traditional folk art craftsmanship in wood-carving, carpet-weaving or pottery have roots in Balassagyarmat and Hollókő while tradition of making embroideries and ornamental clothing are newly spreading also in towns. The new wave of such traditionalism brings about attractive pieces of art. Visitors adore frequently the unpaired beauty of folk art in the characteristically Palóc villages. Not everything in Palócland is although purely positive. The county of Nógrád is the smallest in Hungary both for its territory and population. Although it lays geographically close to the Capital, as for infrastructure, its resemblance to the NE Borsod region. Many of the small villages, respectively, have population less than one thousand. Geographic location have still not proved advantageous in catching up to the West. Prevailing trends indicate even further widening of the gap. This means that while muddle trans-Danubia and the Capital are recovering, Nógrád county is still in several crisis. We are then in great demand tor a regional development policy expected to stop further deterioration of economic viability and give start tor growing. Börzsöny and Mátra mountains. 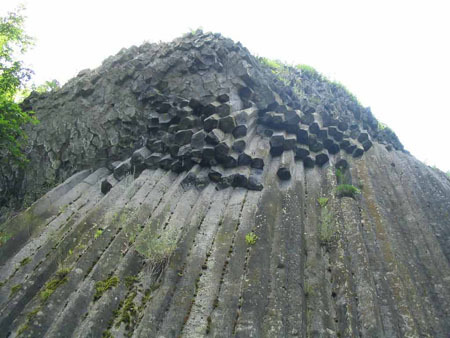 Not only geomorphology but geological features too are variable: stones formed from sediments of ancient shallow seas, and rocks of volcanic origin may be seen in Nógrád. The lowest parts are covered by sandy gravel layers. 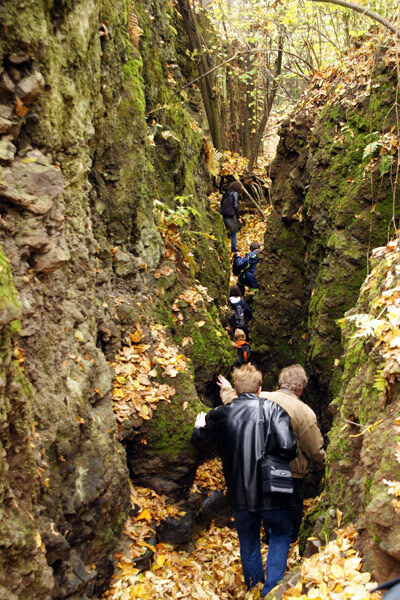 The oldest rocks seen on the surface at Csővár, Szendehely, Romhány and Alsópetény are of upper Trias formations. By the Miocene period the ancient sea left behind a thick sediment layer, existing now as mart, sand-stone or quartz. Sometime in the Miocene era the sea disappeared and a verstaile scene with great many hills and basins were left behind. The climatic conditions certainly had subtropic character, traces of which conserved by and in the Ipolytarnóc volcanic layers. 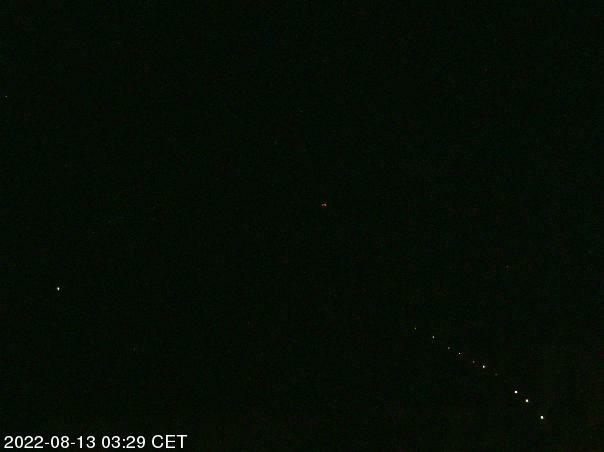 Volcanic activity, some cca. 19 million years ago, brought about rhyolite, rhyodacite and tuffites seen now on the surface at sites of Kazár, Kisterenye, Tar villages. Fifteen million years ago volcanic lava formed several cones, eroded remains o1 which are now in The Börzsöny, Mátra a Cserhát hills. By the Pliocene period intensive tectonic activity formed a scene nearly similar to the present day character with its water-flows. 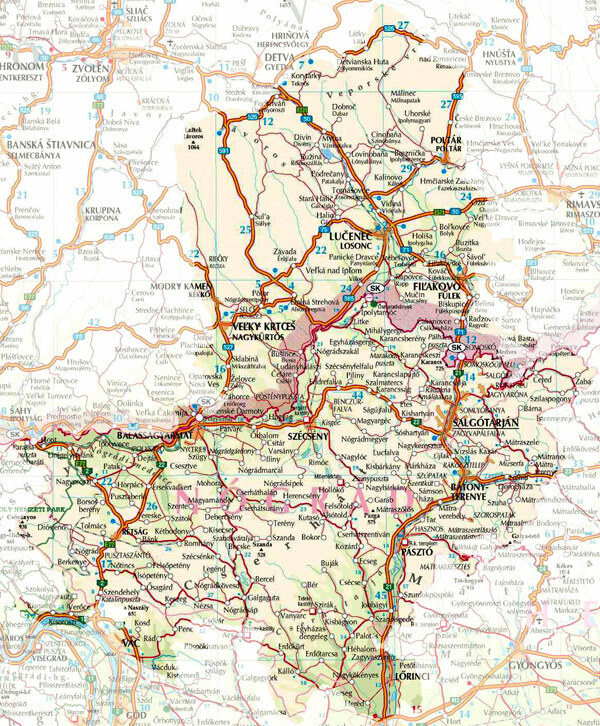 The Nógrád territory, with part of Börzsöny and the Cserhát -hills and geographical basins, is part of the Medium-height Mountain of Northern Hungary. The Nógrád basin consists of a series of gentle hlfis bordered and segmented Fekete, Derék and Lókos brooks. Also, the Zagyva valley and the Medves-region are interesting areas. 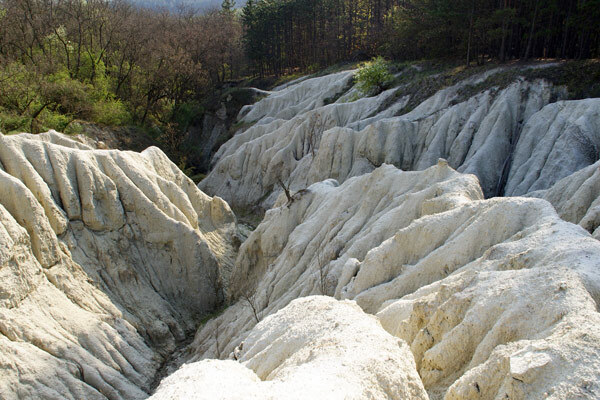 and the Rhyolite-tuffites of Kazár. 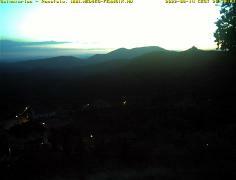 As for the climate, decisive is the nature of the Cserhát-hills, with 9 C yearly average temperature. The Börzsöny area is somewhat cooler and a bit more rainy. Average yearly precipitate varies between 550 and 600 mm. In general, the climate may be characterized as moderately cool and dry. The number of annual sunshine hours is cca. 1850. This means about 4200 MJ/sq.m.l year energy irradiations. Average temperature during the plant vegetation period varies in the range of 14.5 to 16.8 Centigrade. Absolute minimum maximum values may be cca. Minus 18 and 30 to 34 Centigrade, respectivety. Freezing temperatures may occur as early as between 10th to 15th October Winter precipitate is snow, with 30 to 40 days per year with probability for snow-falt. The driest month is March, while the most rainy is June. There are cca 40 to 50 days per annum with storms. Dominant wind comes from the North – Northwest. Average wind velocity is some 2 m/sec, but this may double in the mountain. Nógrád county is rich in natural water-flows, mainly streams and small brooks, while there are hardly any lake of significant size. The four major water-flows are the rivers Ipoly, Zagyva, Galga and Tarna. All the water flows are of low average rate of flow but may be extremely variable. The largest basin (5145 sq.km.) belongs to Ipoly connecting the region to the Danube. Along a length of 115 km., the river forms a natural border far Hungary and Slovakia. This length is about 40 percent of the total length of the river. 1520 sq. Km. of the total water-catch area of the river belongs to Hungary. Several side waters carry course and line rubble into the river. Zagyva, Galga and Tarna rivers are of smaller size and flow not to the Danube but toward the Tisza. Nógrád County is not rich in lakes. The more than dozen small lakes are partly man-made reservoirs with combined water surface of about 70 hectares. Interesting hydrological features are the acidic and sulphuric springs along the Zagyva valley, or the lodlne containing spring at Sóshartyán. Thermal water (30 Centigrade) is utilized only at Pásztó , the thermal spring of Ráróspuszta is not utilized. Natural vegetation is the forest, forests covering cca. 40 percent of total the county land. Agriculture proved not very successful on the weak forest soll. Brushed forests of the Cserhát are dominated by oak. Further characteristic trees are blue-beech, ashen, maple, linden and elm. The soil is mainly of brown forest-type, and sandy loam along the Ipoly river, with yield classification varying between Class VI…X. Fauna of the territory is versatile, and are similar in regions of Börzsöny, Mátra and Karancs-Medves. Dominant large body wild animals are red-dear, roe and boar. The predators: Lox and badger may appear at certain sites. provided basis tor development of heavy industry, including metallurgy, metal processing and glass and ceramics. acid-resistant clay, tuffites, Elint, quartz-sand are available for utilization. Significant further near the surface coal deposits may be utilized in the future through small-scale pits. 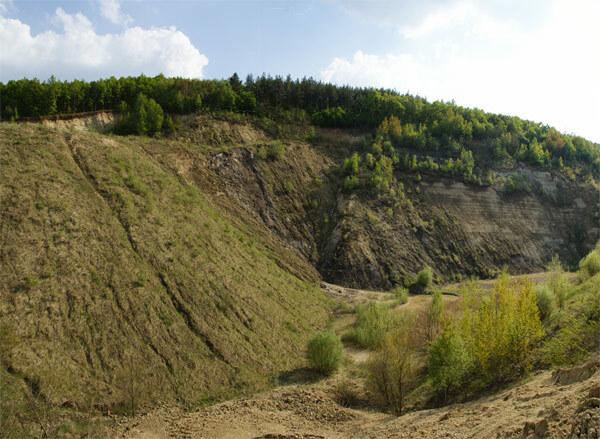 Magnitude of mineral resources of the Nógrád basin is estimated at 20 to 22 million tons. Considering the traditional heavy industrial activities the natural environment has been greatly influenced. The spreading of utilization of gas in place of coal is now resulting in decreasing load on the environment. 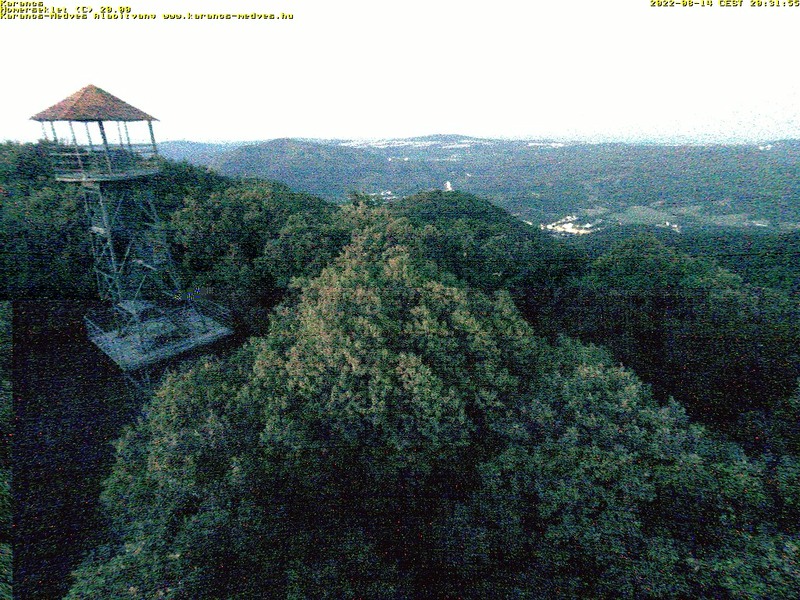 In respect of preservation of the environment, the Börzsöny, Cserhát and Karancs-Medves regions are rich territories. The land area of 18,250 hectares belong to national reservation Further 1602 hectares are of locally protected natural regions. Specific attention may be called to the Hollókő village region, being under special protection as part of the World Cultural Heritage. Also of great significance is the Ipolytarnóc site where paleontological landings may be seen. Ancient Nógrád had been living place for variety of population. Native Jazig and Quad people were defeated by Marcus Aurelius in 173 A.D. Cotineans Celtic and Germanic tribes followed. Still later the Huns arrived. Bolgaric-Slavic-Turk population settled in the region by late 6th-early 7th Century, and built the ancient earth-fortification of Nógrád protecting the main transport rout along the Ipoly river. Nógrád then belonged to the Moravian state with Nitra (now in Slovakia) as centre. A multitude of successive population melted here. Finally, the Palóc people were really rooted. The Palócs may be regarded as inherent carriers of mainly Hungarian and Slavic cultural characters, consequently in a role of kind of link between people. 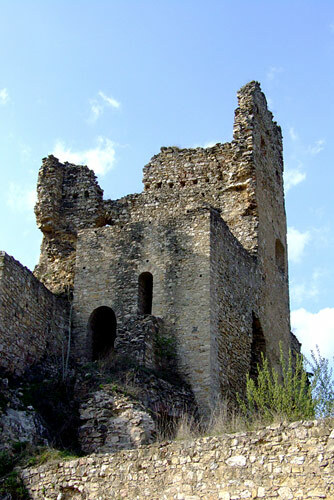 Besides being administrative centers, castles later had the function of cores with land estates around Many of the castles were expanded in the Renaissance era and became carriers of the new culture. 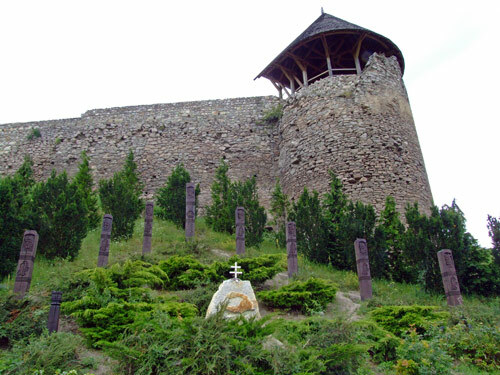 Richness of the Nógrád region land-owners were reflected by the construction of new castles. Within a period of a couple of centuries the social and economic system of feudalism became stable. 1526 was a turning point in Hungarian history, including the history of Nógrád. Great personalities of Nógrád, like Balassa Ferenc ( Főispán= administrative head) and Rátkai László nobilis landlord fell in the battle lost at Mohács against the Turkish invaders, while great many other landlords did not even get involved in the fight against the invader decay of the country and Nógrád started. For a period political wilderness ruled the region where “a good sword, venturesome heart and great deal of political dishonest were the means for success and power “Following the tell of Buda, the royal centre of the country, Nógrád territories became directly threatened by the Turkish forces. Szondy György although heroically defended the Drégelypalánk castle, the first occupation period lasted till 1594. The Sultan proved to be a pragmatic ruler, and the common people left alone by the former nobility, quickly realized, that no other chance but submission, could provide opportunity for survival. 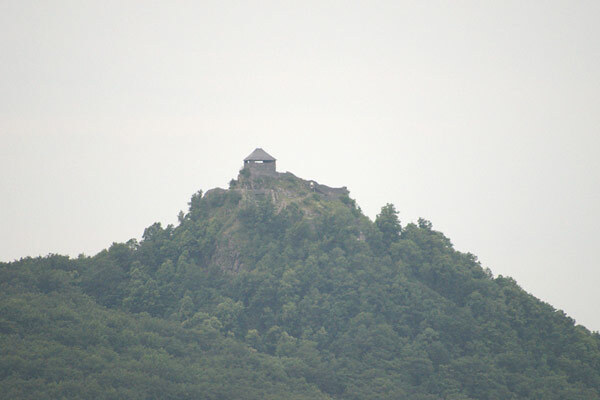 End of the Turkish oppression for Nógrád started with the regaining of Nógrád castle in 1685. Happiness had not although been without sorrow and pain: Black Death swept across the region claiming many deaths and causing moving away of great many inhabitants. Revival started although soon and both economic and cultural development became significant, the latter demonstrated by the new religious school opened in Losonc. Germans and Slavs also, strongly dedicated to Protestantism settled in the region. Catholicism and Habsburg partiality were synonyms by the mid-17th Century, while harassment of Protestantism induced disgust against the Habsburgs. In spite of all contradictions resettlement and restructuring of the county became complete by 1711. In the mean time an independence war against the Habsburgs, under the leadership of Rákóczi Ferenc,( the 2nd,) was over. Nógrád County played significant role in the war. Rákóczi Ferenc called the national convention in 1705 at Szécsény in Nógrád. The convention originally aimed at dethronization of the Habsburgs but great many other aspects like discipline of the army and the peasants, remedy to public burdens, claims tor land-ownership and religious affairs were on agenda. The Rákóczi led independence war felt in 1711. The fight for power following the era of Turkish oppression calmed by the early 18th Century, but event of the independence war and the war itself made the population wearied and politically divided. Supporters to the independence movement were mainly Protestants while majority of the nobility remained on side of the Habsburgs. This eventually led to survival of connection to that time western political circles and markets. 18th Century Nógrád may be characterized by five major events, each involving administrative registration. The revealed new information resulted in quick development. The 18”` Century brought about changes not only in the economy but also in administration and intellectual life. In the administration, on national level, the leing (József, the 2id) introduced new centralized administration divisions, liquidating The self government practice by local nobility. On the other hand progressive part of the nobility could not turn away from new challenges in intellectual development Influence of the enlightenment era became evident. The freemasonry movement based upon a hierarchy of ‘brother, Guild, Lodge and Master” relationship, reached Nógrád as early as the beginning of the century. The first and most significant Lodge in Nógrád County was maintained in Balassagyarmat with influence on several noblemen and their folk, mainly in the mansions of Kisbágyon, Videfalva, Romhány, and Surány. Division within circles of the nobility rooted for long in religion. The conflict between Lutheran and Catholic Church seemed Pading after the new rule by József the 2nd introduced in 1781. Also, the desire for independence was a major driving force of movements in the 18th Century. Such movements emphasized national feelings, culture, the importance of the national language and manners, even fashion. The desire for freedom, the freedom of an independent state and freedom of the individual were definitely present in the intellectual life of that time Nógrád. And this proved to be an important factor in preparing for the new era of reformism in the history of not only of Nógrád but the whole country, too. Adjectives like ‘exciting” or ‘~eventful” are frequently applied to characterize historical eras. The period between 1790 through 1825 in the history of Hungary represents unpaired series of events, serving as model for later practice. The death of József the 2nd brought about a step backward as compared to the enlightened absolutism introduced by him. Dominant factor tor the Hungarian reality had been the existence of the Habsburg empire, where primary aims were oriented to preserving the empire itself. The main political trends in that time Hungary and also in Nógrád county were apparent: under the spreading of new ideas the empire seemed to crack. And the nobility also, seemed to be in kind of unity as far as an independent national state was concerned. Of course, significant tensions, too, were brought about: the Habsburgs requested large number of recruits from the country, also from Nógrád County. Nógrád was unwilling to meet demand; consequently military force against the county was applied. This incident depressed the relation between the central administration and the county for long. Following the national convention (parliament) in 1825 Pozsony (now Bratislava in Slovakia) political life of Nógrád County, too, seemed to revive. A fresh group of young nobility turned away from nostalgia and started to concentrate on the future. Their starting point was the unfinished reform of the 1790-ies. 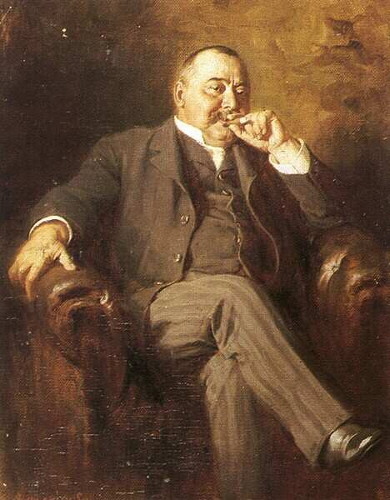 The book ‘The Credit” by István Széchenyi had great influence on young politicians of the era Ideas were brought together; politicians were provoked to discuss essentials. The ideas presented by the book induced political debates and divided the public into conservative and liberal forces. In the 1840-ies dramatic personal changes took place in the political life of Nógrád. Two dominant personalities, Huszár József and Sréter János died in 1840 and 42, respectively. The trend they initiated and maintain could not be maintained by the young, unskilled followers, consequently the political weight of the county decreased. News of the March 15th Revolution in Pest reached Szécsény town. On the next day The courier as Pulszki Ferenc, a tradesman, saying “…all the people of Pest went fool – they carry flags and are embracing each-others…” Political leaders of Nógrád were excited to listen to the news from Pest and Pozsony. The County Convent in May 1848 decided on setting up the National Guard. By the years immediately prior to breaking out of WW-I former traditional administrative and political strongholds of Nógrád, like Szirák and Szécsény were gradually loosing weight. At the same time, cities like Losonc, Fülek, Salgótarján and Balassagyarmat (the first two are now in Slovakia) oriented to the new style. This new style required the civil and aspiration of cities.The results were embodied in emerging factories, steam-propelled mills and the likes. 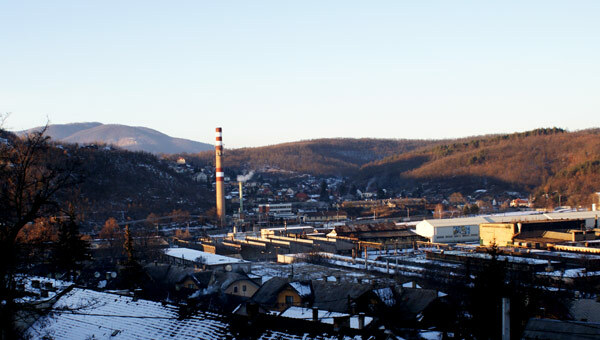 Second halt of the 19th Century development of the town of Salgótarján was induced by abundant availability of industrial resources, raw material around. An essential event was the rail-road construction, which together with availability of coal, provided further background for capital investments into metallurgy and glassworks. Invested capital came not only from new entrepreneurs of Budapest abut also from investors in Austria, Germany and England. Investment brought in foreign industrial culture, and the picture of the industrial worker emerged… Among rank-and life population of the region double-engagement life developed meaning that the populations was greatly bound to industry in Salgótarján, e.g., at the same time relation of workers to traditional agriculture remained strong. The emerging new industries changed the whole social and employment structure of Nógrád County. 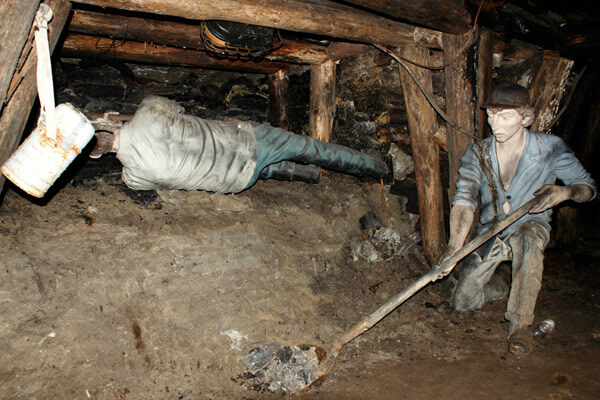 While in 1890 a total of more than 60 thousand heads, while in the mining industry some 4000 heads were engaged, the numbers dramatically changed by 1910. Labour force in agriculture slightly decreased, while industrial labour, and public services (administration, top nearly doubled in the same period. The Great War brought dramatic changes in the country. The era of economic upsurge and the peaceful decades Following the Austro-Hungarian Concordat ended Soldiers from Nógrád fought mostly in the Northern front-line in region of Komarov, Lemberg, Krakow. Galitia, Limanova and Przemysl. The war claimed a great number of casualties from Nógrád. As years of war passed waves of refugees arrived to Nógrád. By May in 1917 more than 6000 refugees arrived, mainly from Transylvania The war strengthened movements, social democratize and working class movement. In 1917 common strike was organized by coal-miners and industrial workers unions. Further strengthening of anti-war movements were demonstrated by continued strikes in 1918 both among the miners and steel workers. The 1918 Autumn Revolution and the new government by Károlyi Mihály ended the war and formation of the new Republic of Hungary was announced. Also in Nógrád, new National Council was formed in Balassagyarmat under the leadership of Dr. Somló József. The major political forces were the civil democratic and social democratic parties. Similar forces were dominant in the National Council of Salgótarján but in the latter leaders of larger industrial plants and coal-mines also, were active players in local administration and politics. At this stage an important new trend and influence of new conditions had to be counted with, namely: emergence of a new state in the direct neighbourhood was in progress Political forces of the Czech and also the Slovakian territories were highly active in their states and its border on the South. The emerging state enjoyed powerful assistance from and by the Entente. Military conflict broke out on the 15th January 1919 at Balassagyarmat when a Czech and Slovak commando attacked the town. Sovereignty of the town was re-established after two weeks. 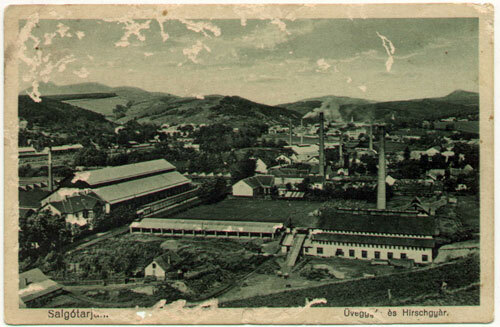 Nevertheless, the Czech and Slovak politicians had not given up the aims to occupy the Salgótarján industrial region and two further attacks were initiated against the town in May, 1919. Forces of the new Hungarian Soviet Republic formed in March repulsed both attacks. On the long term although, the new Hungarian Soviet Republic proved unable to reach or create consolidated conditions. Neither in Nógrád, nor in the whole of the country. The consequences on Nógrád were extremely severe. After WW-1 political consolidation Nógrád county not only found itself bordering a new state, but territory of the historical Nógrád became divided into two. Following the Trianion Treaty more than 40 percent of the territory was attached to Czechoslovakia. This meant 117 settlements, including Losonc town. Economic and social weakening of the region could not be avoided: life-standards decreased, traditional markets had to undergo restructuring or simply ceased to exist. Working class movement, too, further strengthened and radicalized. The world-wide crisis in the late 20-ies and early 30-ies even worsened the conditions Extreme leftist and rightist political ideas gained strength. Political forces active in Nógrád County supported the idea of revision of the Trianon Treaty. During the war consequences of neither the tragedy of the 2nd Army at the Don Battle nor the Holocaust avoided Nógrád. Only a few returned from the Don Battle and only a few returned from the Nazi death camps. The antifascist movement of Nógrád had strong background and found connection to national antifascist organizations. The year 1945 brought end to the war and , political system based on wide-range coalition of locally active parties, like the Independent Small-Holders Party, National Agrarian Party, Social Democratic Party and Party of Civic Democrats Also, polycentric initiations tor democratization took place. Unfortunately, such initiations were choked away and communist predomination developed out. Two major factor influenced Nógrád, namely: role of the heavy industries increased even further without sufficient availability of local labour force. New workers had to be recruited from other parts of the country. The result was increased exploitation of raw materials, mainly coal. This tendency prevailed up to the mid 60-ies wherefore expansion of use of natural gas and oil started. By 1975 24 of the total128 coal-mines were closed and the number of mine-workers halved from the former nearly 14 thousand. Consequently, new industries had to be brought into Nógrád. New industries were represented by machine engineering and miscellaneous processing light industries. Reconstruction of old facilities and construction of new ones on formerly unindustrialized areas took place. Also, the agriculture changed a lot: reorganization resulted in several large size cooperatives and 2 state-owned farms, the cooperatives alloying traditional agrarian and industrial activities. One more important factor the post-war conditions is to be touched. The relation between Hungary and Czechoslovakia directly influenced life in Nógrád Large number of refugees arrived from the neighbouring country following the Kassa Program of the 1945 Czechoslovak government meaning That most of the Hungarian nationalities were deprived of citizenship in Czechoslovakia. Following the agreement on exchange of nationality population between the two countries, more people immigrated to Nógrád County. Recent features and tendencies shall be discussed in another section. It is worthy for mentioning although, that population and settlement structure has not changed significantly in recent years.. In Nógrád county there are only two truly urban settlements (towns), namely Salgótarján and Balassagyarmat. Most of the remaining villages have population less than 1000 inhabitants. 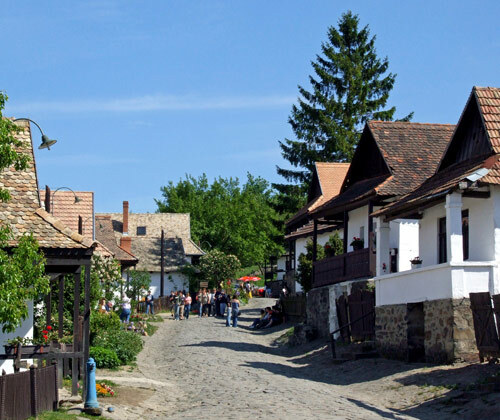 Since 1950 chief town of the county has been Salgótarján. With this moving of the county hall from the former chief town Balassagyarmat the historic contest for the rank of chief town between Losonc and Gyarmat had been closed, but new one between Gyarmat and Tarján emerged. Now there are 24 settlements where nationalities other than Hungarian live. This involves Slovakian nationalities in 22 and German nationalities in 2 settlements. They are descendants of the settlers who arrived here in the 17th and 18th centuries to repopulate the suffered land. Not only peaceful coexistence but productive cooperation of the nationalities living together has always been characteristic in our county: Nógrád. Traditional Christian democratize as political orientation and religion as organizing power has always been present in the Southern and Western part of the county. Without having, although, significant influence on actual politics and intellectual life of the county. Liberalism became sensible only recently, beginning with the still now on-going changes, and is now spreading mainly among the newly emerging strata and middle-class civics. Regarding religion, cca. 80 percent of the believers are Catholic and cca. 10 percent is Lutheran. The Catholic Church in Nógrád is governed by the Diocese of The Calvinist reformed Church has the centre in Balassagyarmat. Israelites had been living in Nógrád in significant number before the Holocaust. As far demographic features we may mention a few data. Nógrád is the smallest county of Hungary in both geographic and demographic terms. Population density is 87 per sq. km., giving 222 thousand totals. Employment structure in terms of white/blue-collar ratio is similar to the national figures (38 percent to 62 percent), while ratio of the work force with university qualification is less than national average. Thirty-five percent of the qualified work force is employed in education. Conditions in Nógrád has although changed a lot, centers for public cultural activity remained the cultural houses maintained in most of the settlements by local governments. In the county major cultural events are the annually held Heritage of Nationalities Day and Folk Arts Festive, Tarjáni Tavasz (The Tarján Spring Festive) or the international Dixieland festivals. As for individual settlements, locally maintained cultural houses hosting several amateur groups are of major importance. The largest public library in Nógrád is the County Public Library, named after Balassi Bálint, a famed poet one of the fathers in bringing about national poetry in the 16th Century. The library operates departments for books, periodicals, records, videos, CD, microfilm etc., and serves also as basis for German and Slovak nationality institutes in the county. Significant are still the large libraries in Balassagyarmat, Pásztó and Szécsény towns as well as the library maintained by the Trade Unions Cultural Association. The four museums namely Nógrád Historical Museum, The Palóc Ethnographic Museum, the Kubinyi Museum and the Pásztó Museum are maintained by the County Government. Földi Péter painter and several others. 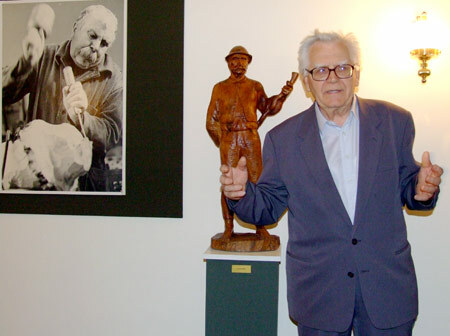 Artists had opportunities, like the Salgótarján Spring Art Exhibition, for showing their works. Recent economic crisis worsened although the background for tine aris there are still favourable signs. Such sign is the Biannual Graphic Exhibition in Salgótarján, the Szécsény Autumn Exhibition or the annual gathering of enamel works artists. Character to fine arts life in Nógrád, is given by contemporary artists like Czinke Ferenc, Réti Zoltán, Nagy Márta, Radics István, Csemniczky Zoltán, Bobály Attila, Benke Zoltán, Erdei Sándor, or Molnár Péter. Only few are the number of authors in literature life in Nógrád with significant influence. Mention should be made of Bódi Tóth Elemér and Erdős István writers Ádám Tamás poet, Marschalkó Zsolt dramatist. The journal of ‘Palócföld” has been a regular Forum far authors of the region since 1954. The Journal plays significant rote in shaping the cult around Madách and Mikszáth, the great figures of 19th Century Hungarian drama and literature, both born in Nógrád.